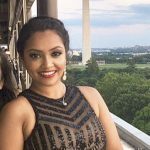 Born and raised in Prince George’s County, MD, a suburb of Washington D.C., Jisha has been fortunate to live the first-generation experience in a diverse, majority-minority community. She is a Christian South Indian, who earned her M.S. in Speech-Language Pathology from the University of the District of Columbia. She is recently married, living, loving and working in MD. She enjoys providing her unique perspective through her writing, being a loving Aunty of 4, and trying to keep her plants and cat alive.